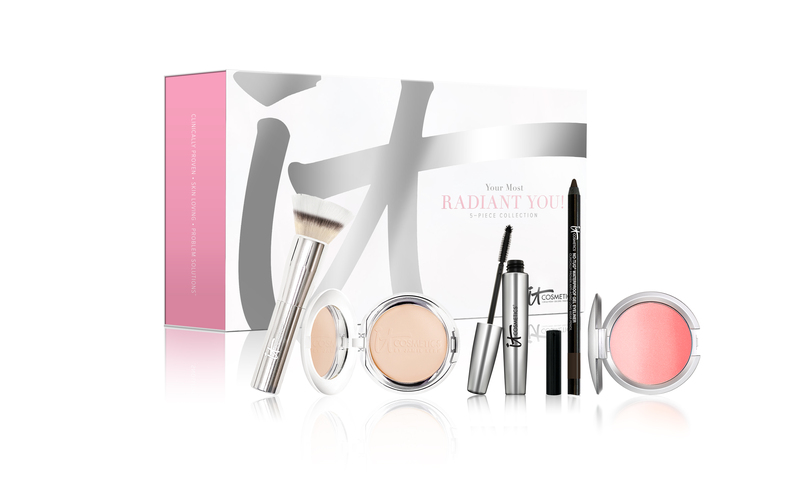 IT Cosmetics Your Most Radiant You! Collection, which will be launching for one day only on QVC October 14th! I have reviewed most of the included products already, but was ecstatic about finding the new CC+ Radiance Ombré Blush. This is the perfect pink that lasts all day. Check out the press release below. The five-piece collection includes Celebration Foundation Illumination and the brand new CC+ Radiance Ombré Blush to help you achieve your most luminous skin. Be one of the first to experience the worldwide launch of Hello Lashes Extensions that will give your lashes a reason to wink! It comes paired with the No-Tug Gel Eyeliner to give your eyes the attention they deserve. Help transform your complexion and eyes with makeup that looks and feels like your skin but better for your most radiant you!